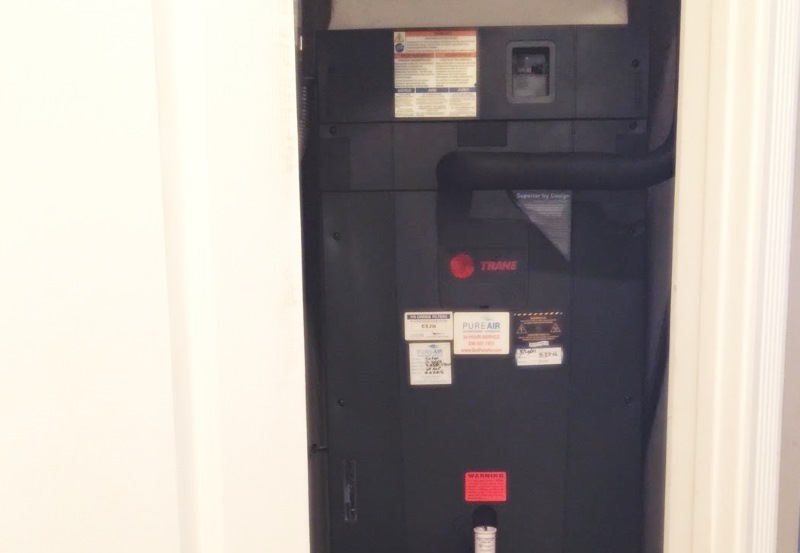 In this recent Trane install the area for the air handler was a very tight vertical space, no problem. 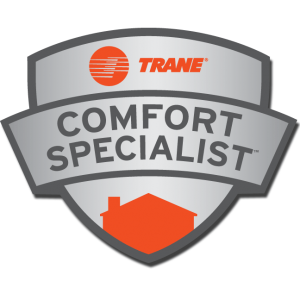 We’re trane Comfort Specialists and have been for years so we’re accustomed to pretty much any situation. Sorry about the low light and pq on the interior pic but it’s the best one I got. 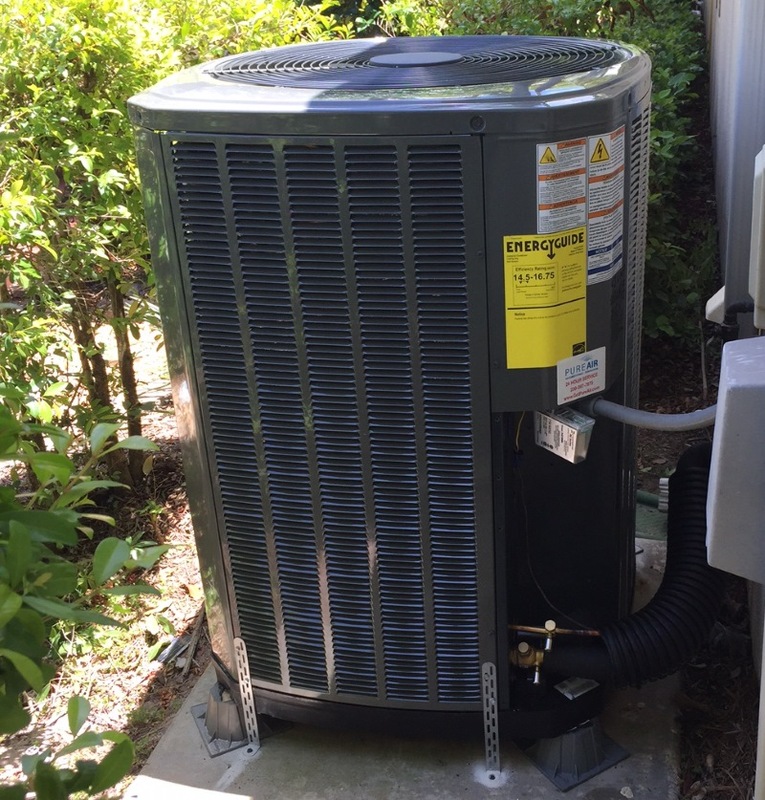 The condensing unit pic below is a little brighter. Clicking the previous links will bring you to glossary entries about those AC system components.